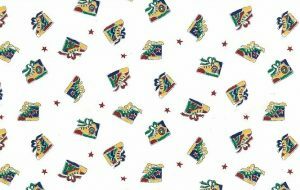 Stars vintage wallpaper primary colors pattern of plaids, stripes, dots, diamonds all in a grid and in –Red, Blue, Green, Yellow on a White background. 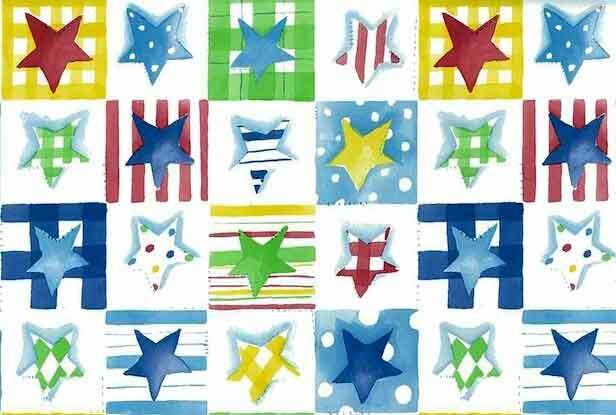 Each star is in the center of a square and the squares line up vertically and horizontally. 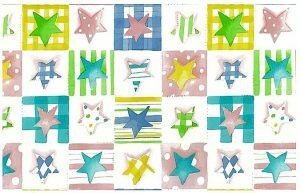 A perfect addition to a kid’s Nursery, Children’s Playroom or Bedroom.